I went along to see The King's Speech on Saturday. What a fine movie it is. I felt insufferably smug as (see Icons passim) I've been in quite a few rooms in Buckingham Palace so I could look down my nose at the film versions. The Burglar outdid me though; announcing (in a snooty aside whispered loud enough to be heard throughout the auditorium), "that opens the other way," when we saw someone coming through the set designer's attempt at the hidden door in the State Rooms. I heard some fine jazz piano on Radio Three as I was channel hopping on the way home from work on Friday. It turned out to be a guy called Gwilym Simcock (born 24 February 1981 in Bangor, Gwynedd). http://open.spotify.com/track/33eZP6JxaVALyf9fCkhHaf takes you to him as an artist on Spotify. Here's an interview from The Guardian last week. With a following wind I may be able to get the the launch of his new album Tuesday night. We have a new - and very youthful - Welsh Born Icon. I read yesterday that Amazon has revealed that it has sold more Kindle ebooks than paperbacks in the US during the final three months of 2010. In April 2006, Crazy by Gnarls Barkley made pop history as the UK's first number one song based on download sales alone. How long until paperbacks languish as physical singles do now? Grinding - as we do - slowly yet exceedingly small, we launched our first production system on Amazon Web Services yesterday, though I'm not going to tell you what it is. How utterly extraordinary. Hat tip Daisy Meyland-Smith. Andy Gray: Women don’t know the offside rule. Emily Pankhurst: Offside is Law XI in the publication Laws of the Game written by the IFAB and published by FIFA. The law states that, if a player is in an offside position when the ball is touched or played by a team mate, she may not become actively involved in the play. A player is in an offside position if she is closer to the opponent's goal line than both the ball and the second-to-last defender, but only if the player is on her opponent's half of the field. Interpretation of the term "actively involved" has become the subject of complex debate. Wendy Toms: Too much for my tiny brain. Must be damaged from nail polish fumes. Angelheaded Hipsters, an exhibition of photographs the Beat Generation has just opened in the National. The movie Howl; James Franco as Allen Ginsberg - not exactly obvious casting - is imminent, and Walter Salles' film of On the Road can't be too far away. All in all a perfect storm of Kerouac and all. Will Desolation Angels find its way back into print? See Icons passim. "Adam Hoshall National Champion and Jack Kelly sliver medal, " reported Winston on Facebook from the U20 British Trials in Shefflield yesterdy. I guess he'll be in the Seniors event today. The British Judo Association will be streaming it live on http://www.britishjudo.org.uk/live/. I can't help but think that the Bomber has lucked out with his judo club and their winning ways. These three short animations by Headspace will introduce you to the concept of 'mindful' meditation. Don't miss your free guide, How To Meditate in 10 Easy Steps, with the Guardian on Saturday 22 January. I've been interested in mindfulness for a while (see Icons passim), but there is still an atavistic part of me that doesn't like the idea of the Grauniad handing out hundreds of thousands of guides to it. The... the other important joke, for me, is one that's usually attributed to Groucho Marx; but, I think it appears originally in Freud's "Wit and Its Relation to the Unconscious," and it goes like this - I'm paraphrasing - um, "I would never want to belong to any club that would have someone like me for a member." That's the key joke of my adult life. Back in 2006, I waxed lyrical on the beloved, endlessly repeated TV series that were such a feature of the endless summer holidays of my youth. Some claim the BBC prints were simply dumped, and others maintain that they were returned to a vault in France in 1982. When, after almost two decades, interest was expressed in a video release, the only surviving copies proved to be this 13-part English edition, in material requiring extensive restoration. Crusoe was rescued only from this single, fragile source and subsequently released on VHS and, more recently, DVD. Of the original French version, nothing remained but the first episode, rendered useless by Portuguese subtitles. It did, however, reveal that the French original had a different, and inferior, music score, fortunately replaced by the music of Robert Mellin - formerly a hit songwriter in Britain - and Gian-Piero Reverberi. More detail perhaps than you need, but food and drink to me. "Of the original French version, nothing remained, " is as good a summary of the 20th century as you can get. Wikipedia is ten. If it had to go to school in the UK, it would be in the same class as the New Ninja Bomber. I went to a preview of the first (Martin Scorsese directed) episode of Boardwalk Empire in Leicester Square last night. As I don't have Sky I guess I'll have to wait for the DVD boxed set next year to catch up on the rest. I also went to the Tate Modern Romantics exhibition on Sunday just in case you're interested. Oh, and I had a meeting all this morning which is why this is late. Ta. All these years I thought I was Cancerian - considered a "feminine", negative (introvert) sign - it turns out I was a "masculine", positive (extrovert) Gemini. There's gonna be some changes made; no more hiding crying in the cupboard under the stairs eating boxes of chocolates for me. The Bomber picked up a bronze at yesterday's judo tournament. The rite of passage however, is that he got on the minibus with the rest of the team at seven o'clock in the morning and went to a competition without me or his mother for the first time. Hand on heart, it may well be more of a rite of passage for me than for him; my ten year old seems all gwowed up. Toxic Waste brand Nuclear Sludge Chew Bars have been recalled by Circle City Marketing and Distributing, doing business as Candy Dynamics, Indianapolis, Ind. The product is imported from Pakistan. A recent test performed by the California Department of Public Health indicated that some cherry flavor of the bars had slightly elevated levels of lead. No illnesses have been reported to date in connection with this problem. "It does exactly what it says on the tin." They live in a society that prizes the development of career skills but is inarticulate when it comes to the things that matter most. ..... Nor, for all their striving, do they understand the qualities that lead to the highest achievement. Intelligence, academic performance, and prestigious schools don’t correlate well with fulfillment, or even with outstanding accomplishment. The traits that do make a difference are poorly understood, and can’t be taught in a classroom, no matter what the tuition: the ability to understand and inspire people; to read situations and discern the underlying patterns; to build trusting relationships; to recognize and correct one’s shortcomings; to imagine alternate futures. In short, these achievers have a sense that they are shallower than they need to be. David Brooks' essay (excerpted above) is far from a triumph, what one may term the Childe Harolde portion of it in particular is close to embarrassing, but he has his finger on the pulse. Icons passim seem to reveal a lineage. In 2008, it was his Neural Buddhists piece set me on the path to reading up on brain plasticity, via taking pleasure in the apparent efficacy of compassion meditation. I'm starting to conclude that we human beings (as I'm led to believe Auden observed) can never become something without pretending to be it first, which means that if we pretend hard enough we can trick ourselves into genuinely being better than we suspect we are. Michael Corleone: That's a terrific story. And we have newspaper people on the payroll, don't we, Tom? And they might like a story like that. 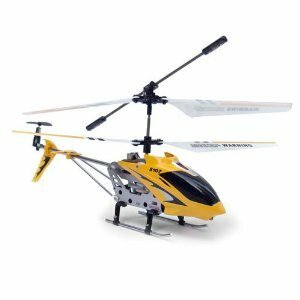 Rod get the Bomber a Yellow Syma S107 Gyroscope Stabilizing System Aluminium I/R Controlled USB Helicopter for Christmas. I think I will be needing this spare parts link for running repairs if it gets used as heavily in future as it was last weekend. Prodnose: The purpose of the Daily Helicopter Operations Briefing/Debriefing Checklist is to provide the Helibase Manager with the means to brief all helibase personnel, including pilots. The omoplata (referred to in Judo as ude-garami or sankaku-garami, 三角緘, "triangular entanglement" or ashi-garami, "leg entanglement") is also a commonly featured shoulder lock in Brazilian Jiu-Jitsu. The locking mechanism is similar to the kimura lock, but instead of using a figure-four, it is applied using a leg. The omoplata can be applied from the guard, by placing one leg under the opponent's armpit and turning 180 degrees in the direction of that leg, so that the leg moves over the back of the opponent and entangles the opponent's arm. By controlling the opponent's body and pushing the arm perpendicularly away from the opponents back, pressure can be put on the opponent's shoulder. It is also possible to put pressure on the elbow joint by bending the leg entangling the arm, and twisting it in a specific manner. Though an effective lock, it is more difficult than other armlocks to successfully apply. The technique called a monoplata is a similar armlock that resembles juji gatame or spiderweb position yet has a mechanism like a omoplata. That clear? Me neither. I am sure he was implying it was illegal in judo. Maybe kids aren't allowed to use it. Judo started again last night after a month's break over Christmas. The Bomber got his fifth mon grade in December, and he is due to be competing in a team competition for the club on Saturday. I'm not sure where it is but it might be something of a trek because the minibus is leaving at 7am. Perhaps I will get him an Olympic Judo 50p. I saw David Hasselhoff and Louie Spence in the pantomime in Wimbledon yesterday. Camp men past the first blush of youth singing bawdy songs and hurling double entendres over the heads of prepubescent children to celebrate Christmas is a cultural tradition unique to these islands. It is also - and this is rather puzzling - strangely reassuring. All hail Lay out Lou with liquid legs and a lisp. It's going to take me forever in the best way, because when he starts talking about learning his trade from Jimmy Reed records, I fire up Spotify, crack open my guitar case and learn right along with him. When you read the book, you can hear Richards' inimitable (though I do imitate it) voice drawling the text in your ear. It reminds me in that way of my beloved Dizzy Gillespie To be, or Not... to Bop and there is no higher praise. "Those already inclined to see Buddhism as a loosey-goosey religion that attracts Western space cadets probably won’t have their minds changed," but I think this is good stuff: See Icons Passim. Whatever, http://video.pbs.org/ is on the side of the angels. Arm Holdings is the pin-up of the UK technology sector. The Cambridge-based group, whose chip designs feature in electronic devices made by international brands such as Samsung, Sony, Nokia and Apple, has seen its share price rise more than 150 per cent in the past 12 months as investors bet big on the group’s growth potential. On Thursday Arm shares rose by as much as 13 per cent after Microsoft told visitors to the Consumer Electronics Show in Las Vegas that Arm chip designs would feature in a new version of the Windows operating system. ARM is the only stock I held on to after my foray into the world of shares in 2001. I had half forgotten about it until I read of Microsoft's initiative, and blowing the cobwebs off Yahoo! Finance I see that I am now healthily in the black after years on the red side of the ledger. The fact that ARM is still trading well below the price it hit 2000 however shows jsut how spectacular the crash of a decade ago was. Myself: In 2011 I will generally be blogging about "a wholesale collapse of British culture, virtue and belief" and how it has led to "increasing fear, lack of trust and abundance of suspicion, long-term increase in violent crime, loneliness, recession, depression, private and public debt, family break-up, divorce, infidelity, bureaucratic and unresponsive public services, dirty hospitals, powerlessness, the rise of racism, excessive paperwork, longer and longer working hours, children who have no parents... seemingly immovable poverty, the permanence of inequality, teenagers with knives, teenagers being knifed, the decline of politeness, aggressive youths, the erosion of our civil liberties and the increase of obsessive surveillance, public authoritarianism, private libertarianism, general pointlessness, political cynicism and a pervading lack of daily joy". Prodnose: Hook. Poppin' bottles in the ice, like a blizzard. When we drink we do it right gettin' slizzard. Sippin' sizzurp in my ride; in my ride, like Three 6. Now I'm feelin so fly like a G6. Entire Company: Like a G6, Like a G6. Now, now, now, now, now, now I'm feelin so fly like a G6. Like a G6, Like a G6. Now, now, now, now, now, now I'm feelin so fly like a G6. Large groups of drinkers should forgo the long-standing tradition where each one has to buy a drink for the entire party to try to cut down on binge drinking. The suggestion was made by Richard Thaler, a professor at Chicago University, and a key adviser to the Prime Minister on behavioural economics or “nudge” policy. He said he had discussed the plan with a senior official in the Cabinet Office. “These are the kinds of things that policy makers and publicans should be thinking about,” he said. No they aren't the sort of things that policy makers should be thinking about. It is none of their business. The last government's misguided meddling in pursuit of an imaginary, aspirational continental cafe culture deeply damaged local pubs, while turning city centres into weekend evening "no go" areas for all but feral youth. The whole Thaler phenomenon is actually sinister. There is a Behavioural Insight Team inside Downing Street, inspired and advised by the Chicago academic. Raymond Queneau’s Hundred Thousand Billion Poems or One hundred million million poems (original French title: Cent mille milliards de poèmes), published in 1961, is a set of ten sonnets. They are printed on card with each line on a separated strip. As all ten sonnets have not just the same rhyme scheme but the same rhyme sounds, any lines from a sonnet can be combined with any from the nine others, so that there are 10 to the power of 14 poems. It would take some 200,000,000 years to read them all, even reading twenty-four hours a day. When Queneau ran into trouble while writing the work he solicited the help of mathematician Francois Le Lionnais, and in the process they initiated Oulipo. I am working in the office today, even though it is a Bank Holiday, preparing for tomorrow's VAT rate change. Mr. Barrett's talk was titled, "Like Listening to Paint Dry," and to judge from the droopy faces in the audience, it was a hit. He was speaking, after all, at a conference of boredom enthusiasts called Boring 2010, held here Dec. 11. For seven hours on that Saturday, 20 speakers held forth on a range of seemingly dreary diversions, from "The Intangible Beauty of Car Park Roofs" and "Personal Reflections on the English Breakfast," to "The Draw in Test Match Cricket" and "My Relationship With Bus Routes." Meanwhile, some of the 200 audience members—each of whom had paid £15 (about $24) for a ticket—tried not to nod off. "Have you ever heard of 'The Wars of the Apathetic'? Or 'the persecution of the apathetic by the bone idle?" The gym was closed yesterday so I messed about with "Fitness Evolved" for the Kinect. The Zen Energy Class (God help us) "based on Tai Chi and Yoga moves and inspired by Zen philosophy" is just as much of a dog's breakfast as it sounds, but some of the games are fun. And the potential is frankly breathtaking. A group from the University of Southern California has created what sounds like the coolest Xbox Kinect hack yet: gesture-based spell casting and controls for World of Warcraft. This interests me strangely as the Bomber is still a keen WoW player and updated to the latest Cataclysm expansion pack on New Years Eve. USC’s Institute for Creative Technologies has created and released FAAST, or the Flexible Action and Articulated Skeleton Toolkit. It’s a middleware toolkit that helps integrate full-body motion controls for games via the Kinect’s sensors. Essentially, ICT makes it possible to map full-body gestures to different keyboard commands. We'll have to install it on the Bomber's laptop to try it out as that is where WoW lives (and I'm not going to go through the gigabytes of grief setting it up elsewhere). This will need to be managed carefully as he is nervous that the process of integrating the Kinect with a PC will be "bear long" whatever that may mean.